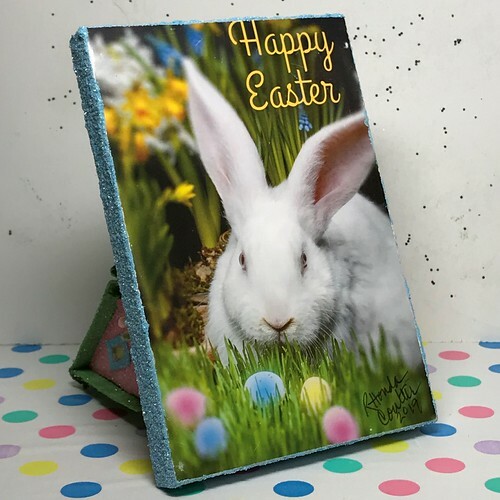 This Easter Putz has been listed in my Etsy shop. 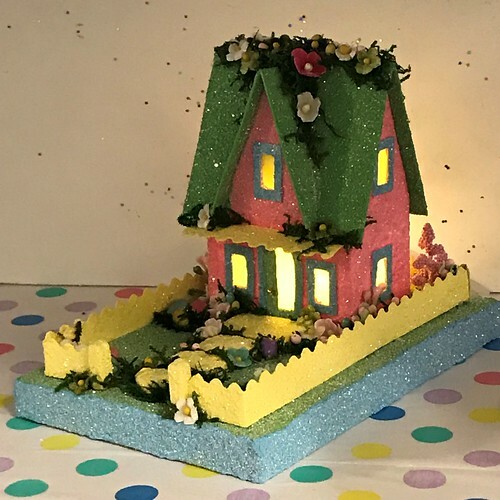 The pattern was drawn with inspiration from a little house in town that was torn down last year. 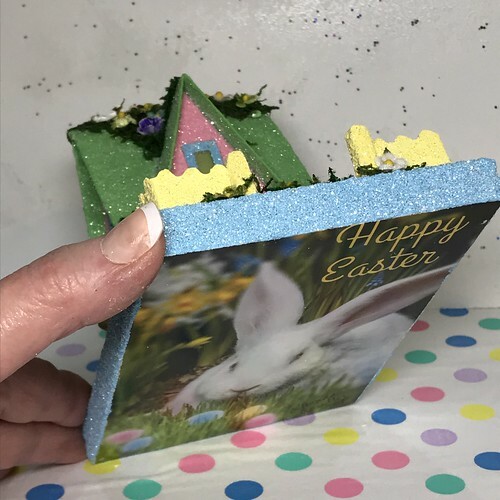 The base is made from an upcycled Easter card. I wish I had a tiny, white bunny to put in the front yard. 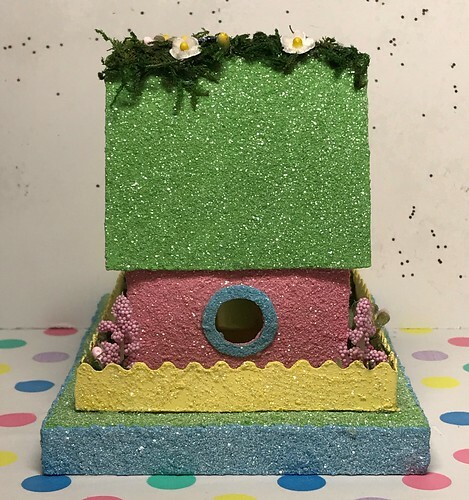 The colors for the Putz house are inspired by the colors on the greeting card. The traditional hole in the back of the house allows for the use of an LED light string to light the little house. 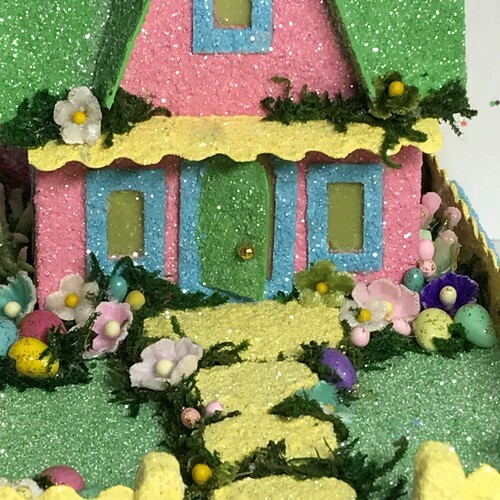 Mulberry paper flowers, velvet flowers, hand-crafted Easter eggs, and preserved moss embellish the Easter house. I always leave the door open on my Putz houses so visitors know they are welcome! 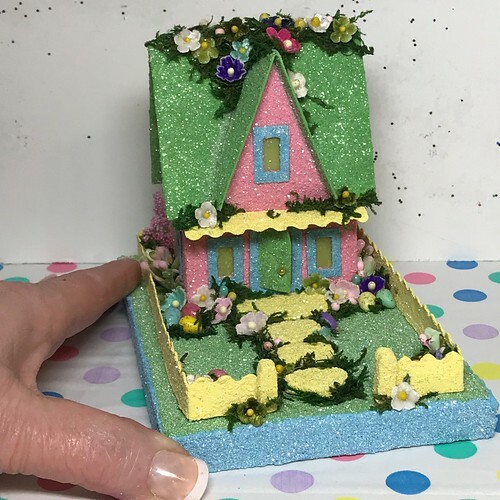 The stepping stones are made from a foam-filled nail file that has been cut to size and shape, then painted and glittered while the paint is wet. The lights are on! Come on in! 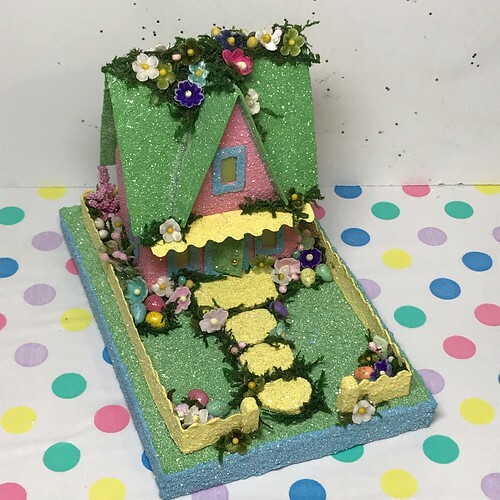 This entry was written by ~~Rhonda, posted on March 19, 2019 at 10:52 pm, filed under Uncategorized. Bookmark the permalink. Follow any comments here with the RSS feed for this post. Post a comment or leave a trackback: Trackback URL.